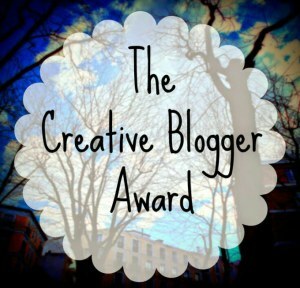 Thanks to The Tipsy Runner for nominating me for the Creative Blogger Award! If you haven’t checked out her blog, you definitely should! Her meme’s are hilarious and usually right on point with how I’m feeling some days! I’ve lived in 14 different houses in my life. These include when my parents were together, after they separated, and after I moved out on my own. I’ve only ever been on an airplane once in my life. I don’t really enjoy cooking meals but I love baking! Cookies, brownies, cupcakes, cakes; anything sweet I absolutely love to bake and then eat! I started playing baseball when I was around 7 or 8 years old. Saturday mornings when I would wake up super early, instead of watching cartoons waiting for my dad to wake up, I would watch SportsNet to see all the highlights from the Friday night games, even if it was teams I didn’t like. Before I enrolled in the nursing program at Durham College, I was in the veterinary technician program at Algonquin College up in Ottawa, ON. After realizing I wasn’t doing well in the course and being home sick, I decided to finish out the year and apply for the nursing program closer to home. I had no desire to be a nurse; the only reason I applied was because I had the high school courses needed to enroll. Once I started, I realized I loved the idea of becoming and nurse and to this day I’m so happy I made that impulsive decision at 19 years old.